World Wide Pinhole Day Picnic! Joe will be teaching us how to construct our own modeling lights as he did in his 2018 personal project. 46th and NE Killingsworth. (north side of Killingsworth at dining hall of Columbia Ecovillage) Street parking only. First, I'd like to say thank you for your interest in volunteering for Photolucida 2019. This year Photolucida will be April 24 - 28th. Our event is possible because of our community members who donate time out of their daily lives to help facilitate this event. This is your last day to see the Photographic Intentions Gallery, work by Angela Holm and 13 member’s of Photo Club PDX! The Gallery closes at 6pm! Mark your calendars for March 1st 5-8pm all of the photographers will be there that night! 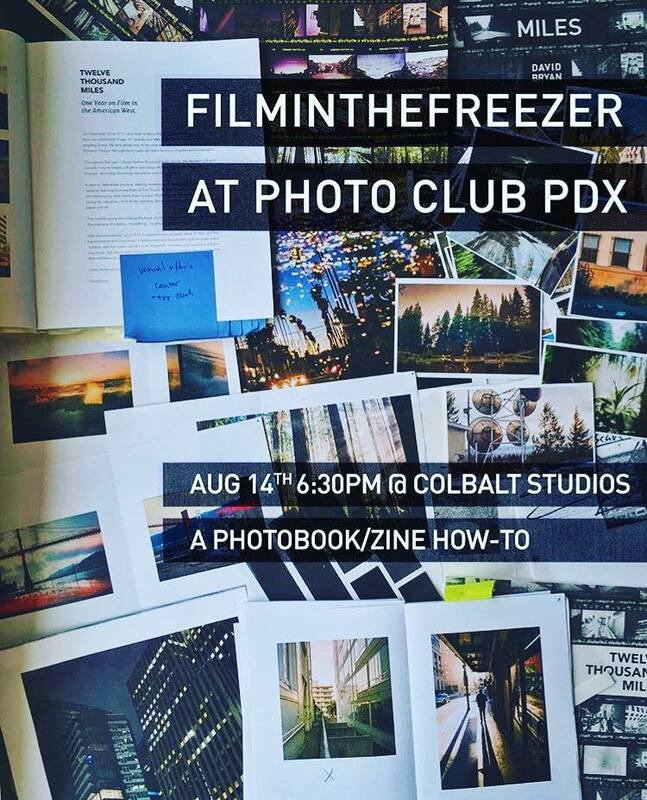 Check out the event details to see who the 13 Portland Photographers are and the name of their projects! Mark Fitzgerald will be showing us, hands on, the benifit of using Lightroom for post processing and the organization of your photo libraries. He encourages people to bring in a couple of photos on a flash drive for him to demonstrate on. Please bring in your laptop with power cords and photos to work along while Mark demonstrates. If you do not have Lightroom or a laptop still come and take notes! This is the opening day for our Photographic Intentions Gallery Show! It will run through March 30th. Specific time, location, and theme TBD. Click on the graphic for details! Rod Sager will be providing several tables and an open area of space for PCPDX to showcase and sell our work. Mark your calendars for this One Time event. All PCPDX Member's - Please come to the Studio and have your Headshots made for the website! Have you considered spinning fire and then capturing the results with your camera, then light-painting might be for you. Max Hinz, photoclub member and experienced spinner of light, would like to invite you to come play with fire. PCPDX is really excited to have David Bryan speak at Tuesday night’s Photo Club PDX meeting! He is going to present on what it takes to creating a photo book or zine. David as a freelance motion graphics artist, designer, & photographer who recently published “Twelve Thousand Miles” & “Experiments and Outcomes”. How about night photography on the eve of a Full Blood Moon! Our June outing will support our 06 unnecessary creation challenge. Location: ... Cathedral Park, top of stairs for Playground Park Day! We will explore with our challenge in mind and sight! Here is the event we are walking into!! Doors will open at 6:30 to sign in, contribute, grab a name tag, and hand-in your print if you decided to participate in the "#05 Exploring and Creating Content". Also, feel free to add a "Challenge" suggestion to the box. Then mingle away! Our discussion will be looking at the recent experience of PDX Squared. Half of this year's winners were PCPDX members! And many of us participated but did not win. The judges only had the images to judge on. No title, no description, and no writing. If you have ever been in any kind of competition you will also have the insight to add to this discussion. If you have never been a judge or a participant in any photo competition, this may be an interesting conversation to be present for! ARRIVE by 6:30 pm to sign in and submit your print. Stations will be set up for checking in. Submissions close at 6:55 pm. We begin promptly at 7pm. If you need to arrive late please still check in and please STILL COME! Just don't plan on submitting a print. You can definitely participate in the critique and discussion, though! A contribution will be collected for each meeting from every person attending, please come prepared. A minimum of $5-10 is recommended, depending on what you will afford. This investment will go toward our locations, any present and future costs that arise, such as website, guest speakers, and future galleries etc. Or bring cash to the meeting and pay your portion at the door when you check in. Doors will open at 6:30 to sign in, contribute, grab a name tag, and hand-in your print if you decided to participate in the "See your city as a Tourist Challenge". Then mingle away! If you need to arrive late please still check in and please still come! Just don't plan on submitting a print. You can definitely participate in the critique, however!